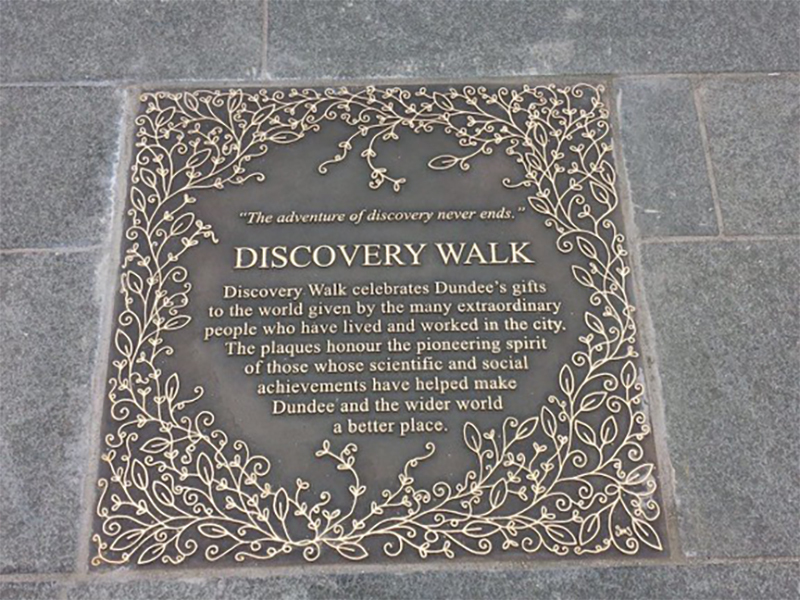 Take a guided stroll along Discovery Walk and find out more about the history, design and stories around the ten bronze plaques that celebrate the gifts that Dundee has given the world and those inspiring individuals who were behind some of the world’s most ground breaking discoveries and contributions to science and society. With phase three of Discovery Walk starting soon you will have the chance to talk to the creators of the walk, Susanne Scott and Kelly-Ann Marr, about who you think should be the next individual to be immortalised with a bronze plaque. You will also receive a copy of the specially created Discover Walk Guide book to take away.